“The American people have spent 30 years and $15 billion to determine whether Yucca Mountain would be a safe repository for our nation’s civilian and defense-related nuclear waste.” That’s a quote of Sen. Jim Inhofe (R-OK) reported in the April issue of The Heartland Institute’s Environment & Climate News. Compare that with the one year and 45 days it took to build the Empire State Building or the five years it took to build the Hoover Dam in the depths of the Great Depression. In the first half of the last century, Americans knew how to get things done, but the rise of environmentalism in the latter half, starting around the 1970s, has increased the cost and time of any construction anywhere in the U.S. In the case of Yucca Mountain it has raised issues about nuclear waste that is currently stored is less secure conditions. As reported by CNS News in January, “The Nuclear Regulatory Commission (NRC) has released the final two volumes of a five-volume safety report that concludes that Nevada’s Yucca Mountain meets all of its technical and safety requirements for the disposal of highly radioactive nuclear waste.” Five volumes! A Wall Street Journal editorial on March 30 asserted that It is not about environmental and regulatory hurdles. 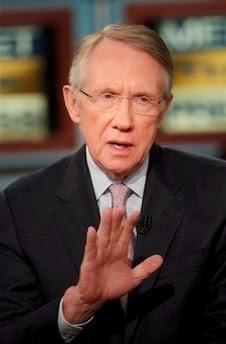 It is about a deal that Nevada Senator Harry Reid, the former Senate Majority Leader, cut with President Obama to keep Yucca Mountain from ever opening for use. In return, Reid blocked nearly all amendments to legislation to shield Obama from having to veto bills. He virtually nullified the Senate as a functioning element of our government. A cynical and false propaganda campaign has been waged against nuclear energy in the U.S., mostly notably with the Hollywood film, “The China Syndrome” about a reactor meltdown. If you want to worry about radiation, worry about the Sun. It is a major source. Three incidents, Three Mile Island in 1979 and Chernobyl in 1986, added to the fears, but no one was harmed by the Three Mile Island event and Chernobyl was an avoidable accident. More recent was the March 11, 2011 shutdown of the Fukushima reactor in Japan as the result of an earthquake and subsequent tsunami. Three of its cores melted in the first three days, but there have been no deaths or radiation sickness attributed to this event. That’s the part you’re not told about. In the end, all it takes is one ignorant President to set progress back for decades. In this case it was President Jimmy Carter for not allowing reprocessing of nuclear waste, a standard practice in France where only one-fifth of spent fuel requires storage. In the 1980s there were three U.S. corporations leading the way on the introduction and use of nuclear energy to produce electrical power; General Electric, Westinghouse Electric, and Babcock & Wilcox. Today only Babcock-Wilcox continues as a fully owned American company. Thanks to President Obama, we have lost another six years on the Yucca Mountain project. That fits with his refusal to permit the Keystone XL pipeline. No energy project that might actually benefit America will ever see his signature. Some are arguing that America is a nation in decline and they can surely point to the near destruction of our nuclear energy industry as one example. That decline can begin to end in 2017 with the inauguration of a new President. Carter was a Baptist Loon. Shut down all these plants!